Easter Bingo is so much fun and a great party game to play with friends and relatives. 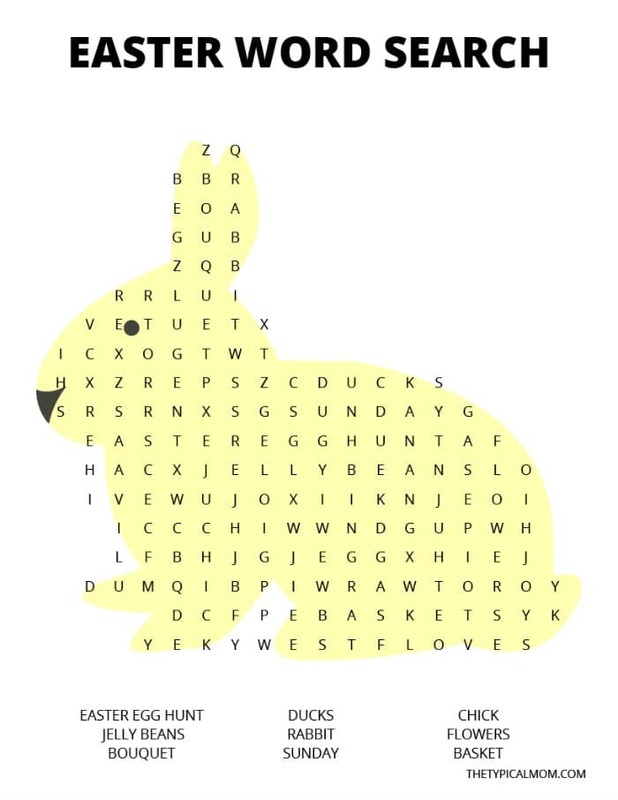 Here are free printable Easter bingo cards to play at school if you’re a teacher or a parent having a holiday party or just looking for a rainy day activity. We love Easter games for kids! If you too are having an Easter egg hunt and need a few other fun game ideas we have some! Playing bingo is always a winner, and perfect for all ages. Even adults can into the fun! 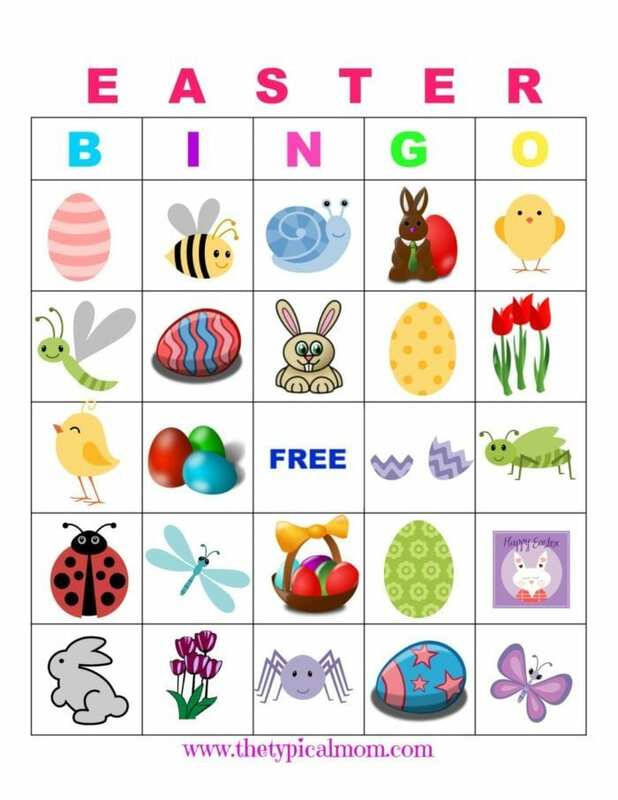 We made ours Easter themed here but have tons of other free bingo printables here too for other holidays. just print 2 sets out, have them cut the pieces into squares, match up the pairs, flip upside down and mix them up. Then you have an “old fashioned” match game. If you’re looking for a fun Easter treat to make with your kids, or make for people coming over we love these butterscotch nests.….cute and delicious! You will need a few different bingo cards so everyone doesn’t get bingo at the same time. There are 3 more variations to in total (4 different cards in all). Print out a card or two to make sure you have all the pictures on all 4 cards. Cut each littler picture out and put them in a hat or cup. Draw one out at a time and show the picture so everyone can mark whether they have it on their Easter bingo board. It’s fun to gather together little things to use as markers for kids to use. I find using dixie cups to hold the cereal, jelly beans, or coins is best. 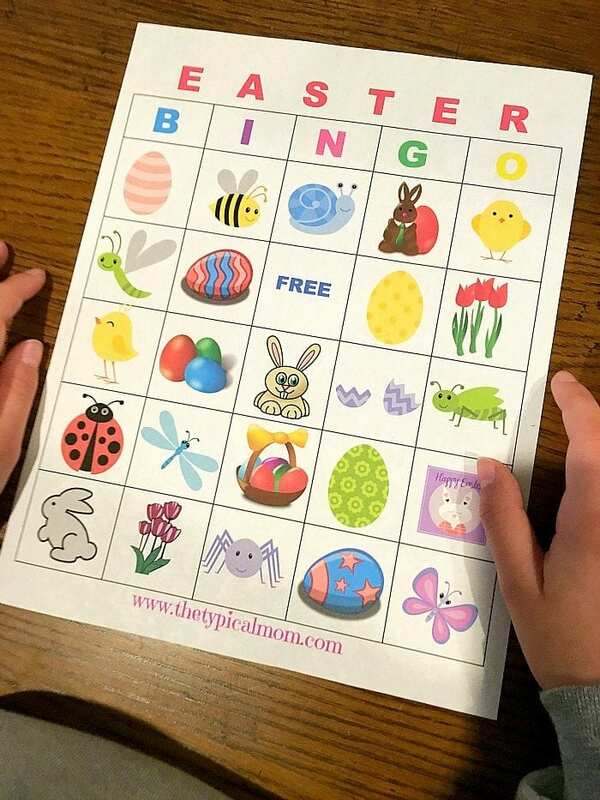 You can also print these bingo markers and let them cut out the purple circles to use on their Easter bingo cards. If you find little things at the Dollar Store to pass out to winners, or to everyone, that makes it fun too. If you want to use them year after year it is easy to do with these self adhesive laminating sheets. Just pass out with a wet erase marker and wipe off with a wipie. Or use markers like jelly beans to keep track of what has been called.